This paper shows that John Dehlin has been playing fast and loose with statistics and surveying methods. John Dehlin and the Weaponization of Scientific Research by Jacob Z. Hess, Ph.D. Some of the enemies of The Church of Jesus Christ of Latter-day Saints have predicted its demise over its stand opposing gay marriage and homosexual sin. They predict that within a few decades the Church will disintegrate and be no more. I noted from last Sunday’s papers that a new book is off the press, put together as a “history” of this work by two men who have spent much time gathering data. I have not read the book, but the conclusion, reported one reviewer, is that the future of the Church is dim. Without wishing to seem impertinent, I should like to ask what they know about that future. They know nothing of the prophetic mission of this Church. The future must have looked extremely dim in the 1830s. It must have looked impossible back in those Ohio-Missouri days. But notwithstanding poverty, notwithstanding robbing, notwithstanding murders, notwithstanding confiscation and drivings and disfranchisement forced upon the Saints, the work moved steadily on. It has continued to go forward. Never before has it been so strong. Never before has it been so widespread. Never before have there been so many in whose hearts has burned an unquenchable knowledge of the truth. It is the work of the Almighty. It is the work of his Beloved Son, the Lord Jesus Christ. It is the gospel of salvation. Men and women may write now, just as Hurlburt and E. B. Howe and others wrote in those days, but the work goes on because it is true and it is divine. These are the best of times in the history of this work. What a wonderful privilege it is to be a part of it in this great era. Will there be a sifting of the wheat from the tares as the years pass? Of course. Will the weak and even a few of the elect be deceived? The prophecies so state. But I think the above quotations speak for themselves, despite the gnashing of teeth by the adversary and his online spokespeople. Editor's note: an earlier version of this appeared here on February 13, 2016. President Gordon B. Hinckley knew exactly what he was talking about when, in a 1997 general conference, he cautioned members of the Church, saying: “I hope you will never look to the public press [or bloggers/social media] as the authority on the doctrines of the Church.” His point was that most commentary from such sources fails to one degree or another to accurately represent or communicate Church doctrine, practice, and policy. The result is that many readers are given a false impression of the Church’s position and judge it falsely thereby. Of course, such a result—misunderstanding and confusion—is usually what the reporter or blogger—often a gay activist—seeks. They know there is nothing easier to sway than an outraged but misinformed audience. We of The Church of Jesus Christ of Latter-day Saints reach out with understanding and respect for individuals who are attracted to those of the same gender. We realize there may be great loneliness in their lives but there must also be recognition of what is right before the Lord. As a doctrinal principle, based on sacred scripture, we affirm that marriage between a man and a woman is essential to the Creator’s plan for the eternal destiny of His children. The powers of procreation are to be exercised only between a man and a woman lawfully wedded as husband and wife. Any other sexual relations, including those between persons of the same gender, undermine the divinely created institution of the family. Editor's note: This is the last of a series of posts by Dennis Horne about collectible books. The introduction is here. George Smith, owner of Signature Books, is an atheist and critic of the Mormon Church who interests himself in issues and episodes of LDS history that he dislikes—polygamy being one of them. His publishing company’s ultimate purpose seems to be to reinterpret Mormon history so that the divine element is missing. On occasion he self-publishes his own works; hence his version of the journals of William Clayton. While most students of LDS history are grateful for those publications that make available new sources and documents, they do have an expectation, often disappointed, that what they buy will meet established scholarly standards. In this case, they are again disappointed. James B. Allen, former assistant church historian and BYU history professor, reviewed An Intimate Chronicle for BYU Studies with the eye of one who had already spent considerable time himself with the journals for his own scholarly works. He discovered that G. D. Smith was using purloined notes of the journals instead of the originals for his transcriptions, and that he was purposely omitting parts of the journals to make them seem more sensational. For example: “Though editors have the right to determine what to eliminate, it is unfortunate in this case that some seemingly significant entries were excluded while some relatively insignificant passages were retained. Sunday, March 8, 1840, for example, was a very eventful Sabbath day for Clayton. In the morning, he prayed with a Sister Burgess, who had a serious infection on her breast. He also recorded where he had breakfast, who spoke at Church meetings during the day and evening; the ordination of certain men to the priesthood; some baptisms and confirmations; visits he made to members of the Church; gifts he received of oranges and money (he often recorded such thing as a reflection of his gratitude for people who supplied him with food and other needs while he was working without purse or scrip); and, finally, a cryptic comment about using ‘liberty’ toward Alice Hardman. In his abridgement, however, Smith kept only about one-sixth of the total entry: ‘Sister Burgess came. Her breast is very bad. I prayed with her…. Supper at Hardman’s. Used great liberty toward Alice Hardman’ (33). By including only the somewhat titillating material and leaving out the much more important information about Clayton and what he was doing as a missionary, this ‘abridgement’ does little but distort the day’s activity” (BYU Studies, Vol. 55, No. 2 , 166). 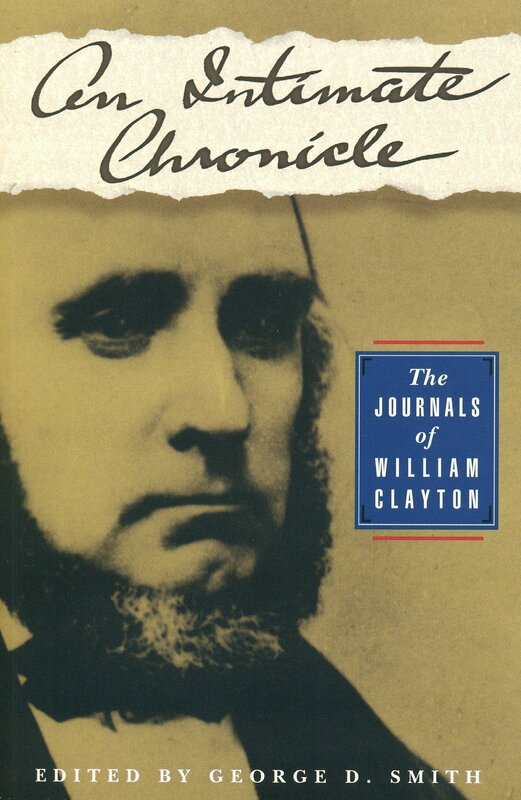 Because this distorted version of Clayton’s journals was published in paperback, it was more widely distributed than many other Signature publications—how many unsuspecting readers will be fooled, or at least misled, by this manipulated mess. Editor's note: This is # 41 in a series of posts by Dennis Horne about collectible books. The introduction is here. “The mysteries of Godliness attempts the first historical treatment of the development of the endowment and other temple rites. The preface acknowledges the sensitivity of this theme and promises ‘to treat the ceremony with respect’ in order to ‘enhance understanding of the temple for both Latter-day Saints and others by providing a history of the endowment’ (vii, ix). Yet, ‘given exaggerated claims about the temple and its origin by some enthusiastic apologists’ [just who these persons are and what constitutes their exaggerated claims the author does not tell us], he argues that ‘a degree of specificity in detail is unavoidable” (viii). Using many unpublished primary sources and published exposes written by anti-Mormons, Buerger traces endowment history from its beginnings in 1831 to the present day. His narrative is specific enough to offend the sensitivities of most devout Mormons, despite his disclaimers. Editor's note: This is # 40 in a series of posts by Dennis Horne about collectible books. The introduction is here. “Then he had me write the life of Daniel Hammer Wells, explaining that Annie Cannon Wells, an experienced writer and author, would assist me. His brother-in-law, Genton Wells, had worked for a year in the Library gathering information for that book. All of this was turned over to me, and it took me about a year to write the book, working at it whenever time permitted. Mrs. Cannon died before doing much on it. Editor's note: This is # 39 in a series of posts by Dennis Horne about collectible books. The introduction is here. The authorship of The Life of Joseph Smith the Prophet has been the object of some debate. While the book bears only the name of George Q. Cannon, historical sources inform us that it was actually a collaborative effort within the Cannon family. 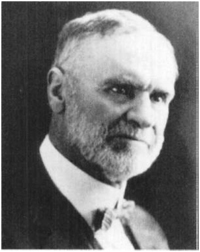 The reason for dispute is that some historians have named Frank J. Cannon, a son of President Cannon, as the principal or “real” author. This is provocative because silvery tongued Frank Cannon often did not live the standards of the Church, bringing public shame to his highly prominent father, and after his (George’s) death, became a bitterly apostate anti-Mormon who travelled the United States giving lectures seeking to harm the Church as much as possible. The journals of Cannon family members reveal that Frank wrote a rough first draft, but that it was extensively added to and revised by President Cannon and his sons Abraham H. and John Q. For example, one entry from President Cannon’s journal reads; “Friday, September 1, 1888. I worked very hard at the message of my ‘Life of Joseph.’” Other journal entries from President Cannon speak of his work on various chapters. A journal entry from Abraham Cannon reads: “I got his [G. Q. Cannon’s] consent to get John Q. to revise the ms. of ‘Joseph the Prophet’ which Frank prepared, after which Father and Joseph F. Smith will review it and we can then print the same.” President George Q. Cannon had final approval of the finished product. Each of these Cannon family members were literary men, often earning their living as editors and publishers of newspapers and books. A parallel might be drawn with today’s college professor, who produces a book with his own name as sole author, when in reality one or more assistants have substantially contributed to the research and writing. Obviously, as a practical matter, President Cannon’s name would help the book sell better than his less prominent children. President Cannon’s biographer, Davis Bitton, wrote, “Of course George Q. Cannon had the final right of approval and was responsible for the final product” (Davis Bitton, George Q. Cannon: A Biography, 296 and 511 n.140. Editor's note: This is # 38 in a series of posts by Dennis Horne about collectible books. The introduction is here. As the years increased we tried to find some competent and willing person to show how the general principles of the Word of Wisdom corresponded with those of the modern experimentally established science of nutrition. Several doctors (M.D.) desired to help, but found no time. Finally, an assignment to do some work at the University of Southern California gave me the opportunity. My wife joined in. I took the negative teachings of the Word of Wisdom, she took the positive aspects. The book was written as our crowded lives permitted. Then, unknown to us, before publication, the manuscript was recommended, after presentation to the First Presidency, (Heber J. Grant, President) and accepted by the Presidency and Twelve, as a year’s text for study by the priesthood quorums of the Church in 1939. This gave wide publicity to the cause of the word of Wisdom and gave its modern interpretation acceptance by the Authorities of the Church. This not only helped to establish the positive parts of the Word of Wisdom in the minds of people, but also furnished a guide in answer to the many food cults unsupported by scientific evidence. It is just as important to understand and practice the truths taught in the positive as well as the negative aspects of this law. When the book was being used in the priesthood quorums, an elderly man, a stalwart in the Church, a high priest, stopped me on the street to announce that woman’s work was not fit for priesthood study. After he was exhausted, I asked if he had read the revelation on the Word of Wisdom recently. ‘O, yes.’ Had he noticed that it was first given ‘to a council of high priests’? The conversation ended abruptly. Editor's note: This is # 37 in a series of posts by Dennis Horne about collectible books. The introduction is here. 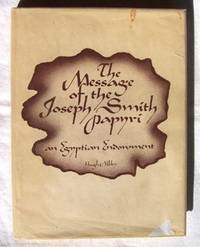 This seems to be an ideal opportunity to mention a recently published correction to a quotation from Hugh Nibley found in his intellectually staggering work, The Message of the Joseph Smith Papyri, an Egyptian Endowment, first edition. The Prophet Joseph Smith is here (incorrectly) credited with “furnish[ing] a clear and specific description.… ‘The record of Abraham and Joseph, found with the mummies, is (1) beautifully written on papyrus, with black, and (2) a small part red, ink or paint, (3) in perfect preservation.’” It has since been found that Oliver Cowdery provided that description, not Joseph Smith. For a discussion of this correction, see Hugh Nibley, The Message of the Joseph Smith Papyri, an Egyptian Endowment, second edition, edited by John Gee and Michael D. Rhodes (Salt Lake City & Provo, Utah: Deseret Book & FARMS, 2005), xxi-xxii, 2n.5. Furthermore, of great importance is this statement: according to the editors of the second edition, “There is no reason to assume that the papyrus Joseph Smith I + X is the source of the Book of Abraham. The Church of Jesus Christ of Latter-day Saints has had no official position on the issue, and most members do not believe that it is. The Egyptologists are adamant that it is not, and so everyone seems to be in agreement on that issue.” I mention this because I have noticed some anti-Mormons ignorantly stating otherwise—even publishing translations of the papyri that do still exist—all in an effort to discredit Joseph Smith. The Church today simply does not possess the original papyri text of the Book of Abraham that Joseph Smith used to make his translation now found in the Pearl of Great Price. Those papyri went up in ashes in the great Chicago fire and no amount of clamor and false charges by enemies of the Church can change that fact. Editor's note: This is # 36 in a series of posts by Dennis Horne about collectible books. The introduction is here. Editor's note: This is # 35 in a series of posts by Dennis Horne about collectible books. The introduction is here. I have never shared this experience in anywhere near this detail in public before. I have little doubt some unscrupulous parties could twist and distort what I write into something other than what occurred; I hope such does not happen. Some names have been withheld or a title/position used instead for obvious reasons. No offense is meant and no ill will is held toward anyone involved. In fact, pretty much everyone involved were/are very fine people and valiant disciples of Christ, each in his/her own way trying to deal with a complex situation. Enough time has passed and enough of the principal participants have passed away that I have decided to share this information with interested lovers of Mormon books/biographies. I can only tell my side of the story; I am sure if certain other parties were to tell what they observed or thought, a different perspective would emerge. I have withheld some few details that I felt still too sensitive. Some of the below is from an outline I wrote years ago, some is from documentation I preserved, and some is from memory. I apologize for any inaccuracies. Editor's note: This is # 34 in a series of posts by Dennis Horne about collectible books. The introduction is here. 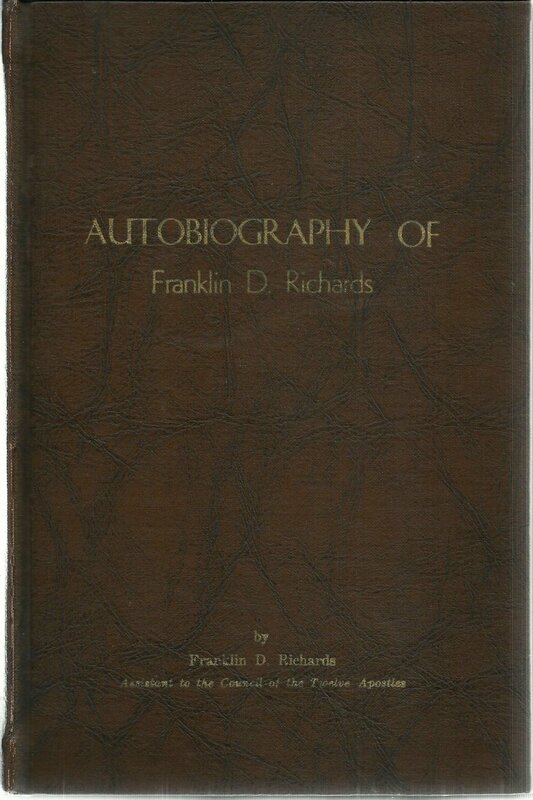 This book was the second biography of Elder McConkie to be released within a three year period after nothing for fifteen years. I am told that Elder McConkie had asked his family not to write one; he felt the message of supreme importance, not the messenger. However, as time would tell, this desire proved unrealistic. The life of the messenger, or Witness, was simply too compelling. Joseph’s book had the advantage of drawing on family records and other materials that were not made available to me—thereby providing a fuller portrait. For whatever reason, Joseph’s book did not acknowledge the existence of my earlier work. And perhaps its greatest weakness is that the author imposed so much of his own personality and feelings upon the narrative that sometimes it becomes difficult to tell which thoughts and conclusions are the subject’s and which are the author’s. (Boyd Peterson’s biography of Hugh Nibley had the same weakness, the son-in-law occasionally imposing his own thoughts and beliefs into the text as he wrote, thereby causing readers to mistake them as the subject’s.) 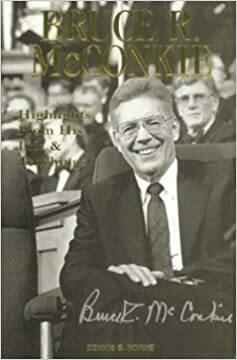 Nevertheless, The Bruce R. McConkie Story is a very fine, highly-commendable production that I for one appreciated and was pleased to read more than once. Editor's note: This is # 32 in a series of posts by Dennis Horne about collectible books. The introduction is here. By June Orson had prepared his sketch far enough on the life of Heber C. Kimball to read an outline of it at the Kimball family reunion. Ort also received another payment for his work writing the biography of Heber C. Kimball for the Kimball family. Editor's note: This is # 31 in a series of posts by Dennis Horne about collectible books. The introduction is here. Editor's note: This is # 30 in a series of posts by Dennis Horne about collectible books. The introduction is here. Editor's note: This is # 29 in a series of posts by Dennis Horne about collectible books. The introduction is here. “President Taylor and his literary-minded secretary [George Reynolds] launched into a related but more ambitious project, that of tracking the scriptural passages on the atonement of Jesus Christ and the law of sacrifice in the Bible, the Book of Mormon, the Doctrine and Covenants, and the Pearl of Great Price. 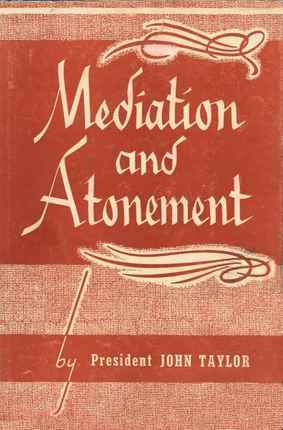 Most of the resulting book Mediation and Atonement, which saw many reprintings, is a compilation of scriptural passages, although there is important commentary as well. This was the first attempt by a Church president to write a theological treatise of any length or depth. Significantly, President Taylor and George Reynolds drew on the ‘Inspired Translation’ of the Bible, a product of Joseph Smith and Sidney Rigdon. 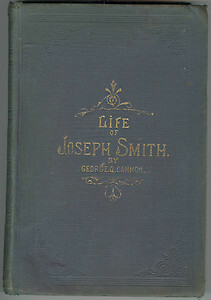 This work, although Joseph Smith had intended to publish it, was not in print until 1867, when it was published by Joseph Smith III and the Reorganized Church of Jesus Christ of Latter-Day Saints. Brigham Young had not trusted this publication and refused to countenance anyone’s using it. But John Taylor was of a different mind and cited it frequently in his new book. Some of the commentary in Mediation and Atonement also bears the marks of George Reynolds’s unique literary style, thus suggesting an actual coauthorship or a ghost writing.” As to how the actual writing President Taylor did with George Reynolds took place, “President Taylor dictated and George Reynolds drafted the copy” (Van Orden, Prisoner for Conscience Sake: The Life of George Reynolds, 120-21). Editor's note: This is # 28 in a series of posts by Dennis Horne about collectible books. The introduction is here. The first edition of The House of the Lord is considered a very collectible book for several reasons. It falls under the subject of temple literature, a perennially popular category. Secondly, there is a fascinating story behind the reason for its existence. Furthermore, the first edition contained a photograph, accompanied by an explanation of its use, of the most sacred room in the temple, the Holy of Holies. This photograph appeared in the 1912 first edition, but was omitted from later printings. This fact has made the first edition especially appealing to collectors. The later paperback editions have little monetary value and are easily obtained. The Holy of Holies room photograph, as well as a close-up of the stained-glass depiction of the first vision found in the room, has since appeared in other works such as The Salt Lake Temple: A Monument to a People, which used the original glass plates of the photographs taken by Ralph Savage to reproduce large, sharp, black & white pictures of the temple, some of which were not included in The House of the Lord. Just a few years ago, the First Presidency gave church employees a leather-bound edition of The House of the Lord as a Christmas present (a different title is given every year as something of a bonus); the beautiful new edition contained the rare picture. The book was written as a means of diffusing a blackmail plot against the Church. Since the story of the scheme is recounted in great detail elsewhere, it is only briefly reviewed here. 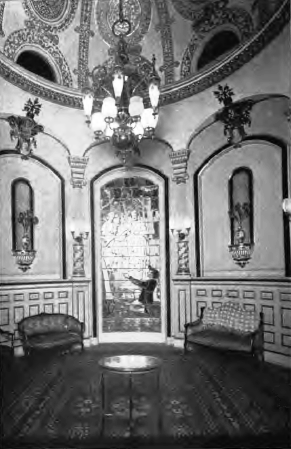 It involved unscrupulous people gaining entrance to the Salt Lake Temple to obtain pictures of its interior. Then an agent was used to try to blackmail the Church by threatening to sell the photographs to movie houses and publishers. Editor's note: This is # 27 in a series of posts by Dennis Horne about collectible books. The introduction is here. Editor's note: This is # 24 in a series of posts by Dennis Horne about collectible books. The introduction is here. Editor's note: This is # 25 in a series of posts by Dennis Horne about collectible books. The introduction is here. “As a reporter in 1932, [Mark] had covered a story on a man who announced the world would end in 1937. 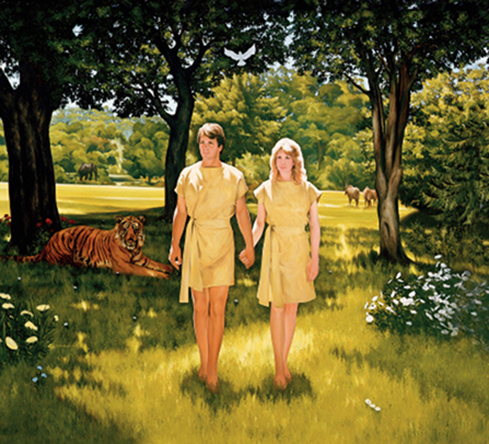 It seemed only logical to go on to study polygamists, dream-mine advocates, the Church of the Firstborn, and various other groups whose common denominator was their belief that the Church had gone astray. Mark found many good qualities in most of the members of these organizations, but he felt that their leadership was extremely misguided. 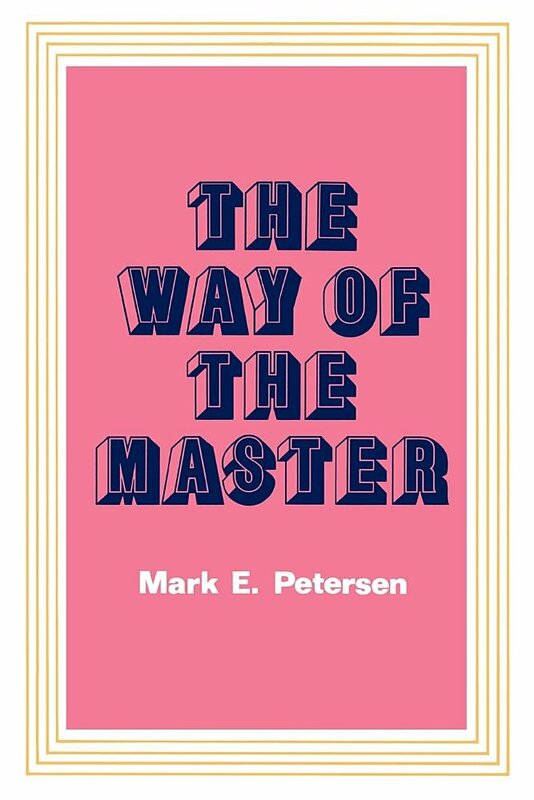 He hoped that The Way of the Master might convince some of his ‘clients,’ as he called them, to reconsider the source of plural marriage. 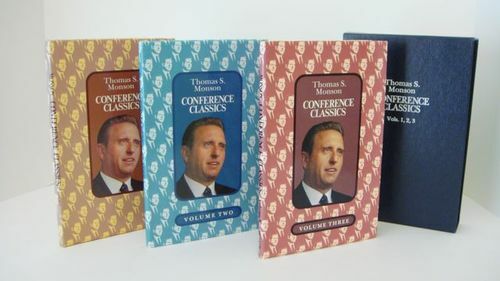 He was pleased when the First Presidency ordered a special edition of 5,000 copies to be sent to all the bishops and stake presidents in western America and wherever the polygamists might be” (Peggy Barton, Mark E. Petersen, 108). Editor's note: This is # 23 in a series of posts by Dennis Horne about collectible books. The introduction is here. Few people today, outside of LDS book collectors and historians, have heard of this short-lived official church publication. In his article, “The Living Canon,” Richard O. Cowan explained: “In 1930 the Church published a volume containing extracts from the Doctrine and Covenants. Entitled Latter-day Revelation, this collection presented forty-one of the sections in whole or in part. It was only about one-third as long as the regular edition of the Doctrine and Covenants. The book’s preface explained that many early revelations dealt only with individual callings or with conditions which existed only at a particular time. ‘Except as illustrative instances of the Lord’s way of directly communicating with His prophets, many of these revelations, once of present and pressing significance, became relatively of reduced importance with the passing of the conditions that had brought them forth.’ Under the direction of the First Presidency, Elder James E. Talmage had the responsibility of preparing the selection, and much of his time on weekends during the later months of 1930 was devoted to this project” (Hearken, O Ye People, 26). 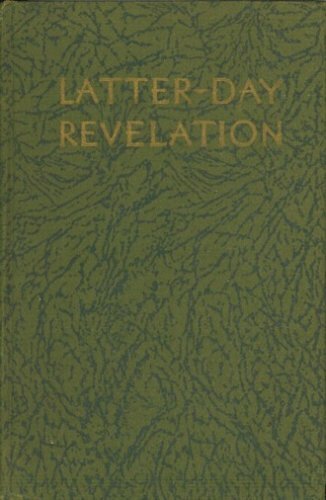 Despite the good intentions and hopes of wide usage of Elder Talmage and Church leaders in printing this book of extracts, it did not catch on in the manner desired, and only one edition was issued—it seemed that Latter-day Saints consistently desired more revelations, not less. Also, issues of “bulk” have changed because of fine thin onion-skin paper and the triple-combination. Editor's note: This is # 22 in a series of posts by Dennis Horne about collectible books. The introduction is here. We met [with Elder Mark E. Petersen] in the office of J. Reuben Clark, Jr. President Clark advised me that he was going to prepare a book, a harmony of the Gospels, the preliminary work for which he had accomplished when he was a law student in his young manhood. President Clark retrieved from his roll-top desk pad after pad of yellow legal-size sheets which contained his handwriting concerning the manuscript. Brother Petersen then left the room, and I had the opportunity to become better acquainted with President Clark as he invited me to work with him on the book. Every working day for the next six or eight months I had a brief visit with President Clark, at his suggestion, as we put together the manuscript which became Our Lord of the Gospels…. During the course of President Clark’s research, he told me he wasn’t certain regarding a particular subject relating to the number of times the Savior had appeared since His resurrection. He gave me a particular number and then said, “Let me think about it over the weekend.” He had put a question mark by the number he had provided me. Editor's note: This is number 39 in a series of posts by Dennis Horne, sharing quotes from his book, Determining Doctrine: A Reference Guide for Evaluating Doctrinal Truth. You can read the introductory post here. The first part of each post is a new introduction, placing the quotes in context with contemporary issues. The quotes that then follow are from the Determining Doctrine book, which contains many quotes that are not readily available elsewhere or are exclusive to the book. Replying, we will say that all writings, sermons, instructions and admonitions by the authorities of the Church are to be taken as authority as far as they agree with the printed word of revelation, as contained in the standard books of the Church, namely, the Bible, the Book of Mormon, the Doctrine and Covenants, and the Pearl of Great Price. Whatever any writer or speaker may express on doctrine should be considered as personal instructions, for which the person who speaks or writes is responsible, and not the Church. Such instruction may be, and is, of great advantage and benefit to those who may listen or read, in aiding them to come to conclusions and to understand the word of the Lord, but as far as its being taken as authority, no instruction may be so taken in the way of doctrine except it shall be in strict conformity with the revealed word of the Lord, and in harmony with the teachings of the living prophet of the Lord. We believe that the arguments set forth in the article referred to, “Is Man Immortal?” will stand this test. Editor's note: This is # 21 in a series of posts by Dennis Horne about collectible books. The introduction is here. 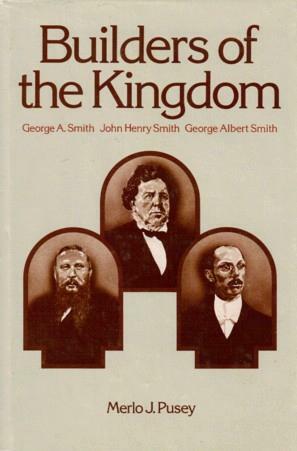 Considered a standard today, meaning one of a series of books containing the teachings of modern prophets that has been compiled and edited and approved, Gospel Doctrine was compiled as a means of getting President Joseph F. Smith’s sermons into print for the benefit of members of the church in one collection. Gospel Doctrine has not been a popular book to collect in first edition, mostly because that edition was noted for bad bindings with poor hinges. Still, those collectors determined to have the major Mormon works in first edition acquire it. Editor's note: This is number 38 in a series of posts by Dennis Horne, sharing quotes from his book, Determining Doctrine: A Reference Guide for Evaluating Doctrinal Truth. You can read the introductory post here. The first part of each post is a new introduction, placing the quotes in context with contemporary issues. The quotes that then follow are from the Determining Doctrine book, which contains many quotes that are not readily available elsewhere or are exclusive to the book. However, if these scholars’ purpose is to reinterpret/weaken the historical narrative of the apostasy and restoration of the Church of Jesus Christ to the point of almost eliminating it (and for some of them it seems it is) then we should take instant strenuous issue and cry foul. Anything that denies the loss of the priesthood, keys, the gift of the Holy Ghost, and temple ordinances after the death of the apostles is false. Likewise, anything that denies that true and pure gospel doctrine and ordinances became corrupted and sullied with the passage of the centuries, is also false and insidious. Editor's note: This is # 20 in a series of posts by Dennis Horne about collectible books. The introduction is here. On the morning of November 22, 1941, Dr. John A. Widtsoe of the Council of the Twelve and one of the editors of the Era; Elder Richard L. Evans of the First Council of the Seventy and managing editor of the Era; Marba C. Josephson, associate editor of the Era; Dr. G. Homer Durham, compiler; and John Kenneth Orton, business manager of the Era, having previously met in the office of Dr. Widtsoe by appointment, drove to the home of President Heber J. Grant…. The President was seated in the living room by the front window overlooking the valley. He was jovial and in good spirits [for his 85th birthday]…. Remarks by Elder John A. Widtsoe: “We are here representing the fifty-three thousand or more subscribers to the Era. "All who are associated with The Improvement Era recognize that not only were you the practical founder of The Improvement Era, but also through your continuous, vigorous support, The Improvement Era has become an influential and serviceable magazine in the Church. We have felt that the Era would do itself honor to remember and recognize in a special manner your eighty-fifth birthday anniversary. In thinking the matter over we concluded that the Era could perhaps best show its appreciation by compiling for wide public use, throughout the Church and beyond, the essence of your teachings to the people throughout your long official life within the Church. We felt that in your public utterances you have presented the gospel as needed in our day and generation. 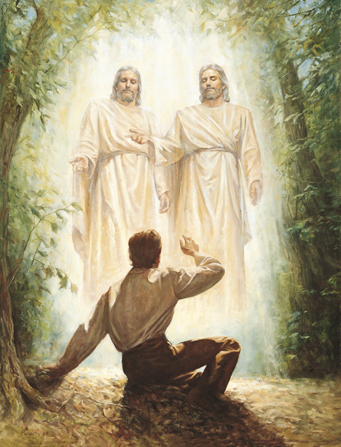 Joseph Smith the Prophet applied the principles of the gospel to his day; Brigham Young did the same in his day, and your other predecessors in the presidency used the gospel to meet the issues of their days. A compilation of your sermons and writings would, therefore, it seemed to us, be but a continuation of the messages delivered by the presidents of the Church from Joseph Smith to your own time…. Editor's note: This is number 37 in a series of posts by Dennis Horne, sharing quotes from his book, Determining Doctrine: A Reference Guide for Evaluating Doctrinal Truth. You can read the introductory post here. The first part of each post is a new introduction, placing the quotes in context with contemporary issues. The quotes that then follow are from the Determining Doctrine book, which contains many quotes that are not readily available elsewhere or are exclusive to the book. Evolution has long been a hotly debated and emotional issue—even in the LDS Church where it shouldn’t be. Nothing said here will resolve that debate. However, in this blog series the purpose is to teach how Mormon doctrine is determined and settled. By learning to do so, one can navigate the sometimes complicated nuances of Mormon history and teachings. Basically, the below quotations amount to an apostle clarifying a question involving a private letter from a president of the Church that has caused confusion with some. The lesson to be learned is to be careful and cautious about determining doctrine; always remembering to examine the channel that delivers it and the source from which it comes. In this case the source seems credible at first glance, but the method of delivery is not definitive. On a side note, I have noticed that most in the world and even some in the Church have falsely declared the debate over with finality, the issue resolved—victorious for evolution. Those so pronouncing do not speak for the Church and do not determine its doctrine. Editor's note: This is # 19 in a series of posts by Dennis Horne about collectible books. The introduction is here. 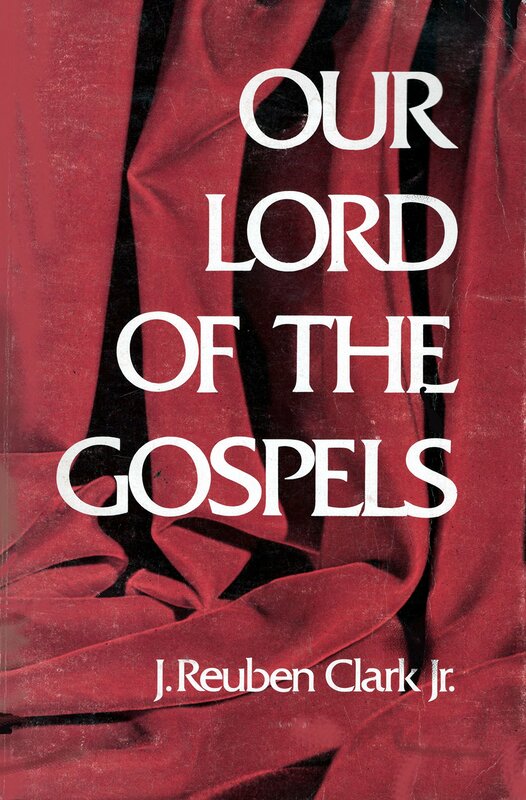 This work, copyrighted and published in 1974, is evidently a personal endeavor of Elder Richards, since no publisher’s name is indicated. From the content it is safe to assume that it was printed in Salt Lake City, Utah. Its extreme rarity presupposes that it was written for family and close friends only, as does its inclusion of strictly personal and family items such as patriarchal blessings, setting-apart blessings, etc. 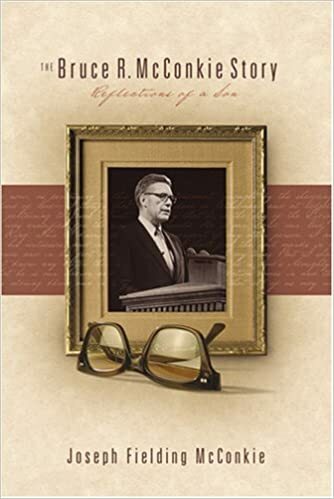 The book (406 pages) covers his early life and business career in some detail, but most of it is meant to give a recounting of the years Elder Richards served as a General Authority, with a chapter for each year of service. This writing pattern assures the reader of an unusual view of the intense laborious life followed by such men living “in the harness.” It contains a few “nuggets” that make it a worthwhile find for those very few that do. For instance, he tells of an administration received as a child: “The power of the priesthood was dramatically demonstrated to me when as a boy of nine I was stricken with rheumatic fever and was in bed for several months and necessarily out of school. The doctors told my parents that I probably would not live to be eighteen years of age. I was administered to by the elders of the Church, and through faith and the power of the priesthood my health was restored” (7). Another comes from an experience received as a General Authority. A close friend and his family had died in a plane crash: “Elder Howard Hunter of the Quorum of the Twelve and I spoke at the funeral. It was a humbling experience to look down from the pulpit over the four caskets and contemplate what had happened…. As I was talking, I clearly understood why John was taken. The spirit manifested to me that he was needed to carry on missionary work in the spirit world. I knew this to be true and bore testimony to this effect. The spirit of the Lord was abundantly present and His comforting influence was felt” (198). Because the author reviews his work as an Assistant to the Twelve in so much detail each year, the book conveys a sense of perspective but also of repetition; however, the comments regarding his occasional interactions with senior Church leaders help make the book a decent, but not great, autobiography. Editor's note: This is number 36 in a series of posts by Dennis Horne, sharing quotes from his book, Determining Doctrine: A Reference Guide for Evaluating Doctrinal Truth. You can read the introductory post here. The first part of each post is a new introduction, placing the quotes in context with contemporary issues. The quotes that then follow are from the Determining Doctrine book, which contains many quotes that are not readily available elsewhere or are exclusive to the book. A packet of LDS Church declarations on evolution was compiled at Brigham Young University this month to avoid confusion in the classroom about the church’s official position…. 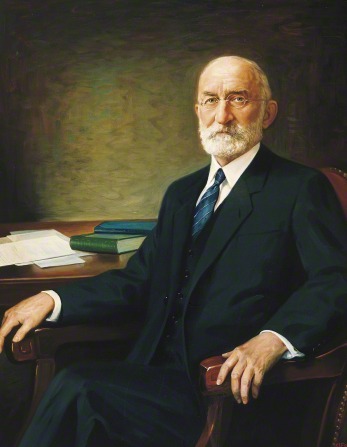 Only statements made by the First Presidency of The Church of Jesus Christ of Latter-day Saints can be considered official, [William] Evenson said. Evenson, Provost Bruce Hafen and Robert Millet, dean of religious education, compiled the 10-page packet. Hafen asked Evenson to head the project. “The goal is not to achieve some kind of balance among the views that have been expressed, but to give students of this subject the full range of official views so they can judge for themselves the different positions they encounter,” Evenson said. The packet includes First Presidency declarations from 1909, 1910, 1925, excerpts from a 1932 First Presidency meeting and a brief article from the “Encyclopedia of Mormonism” published this year.